Believe it or not, this piece of art is made from recycled pieces of plastic. Pretty awesome heh? 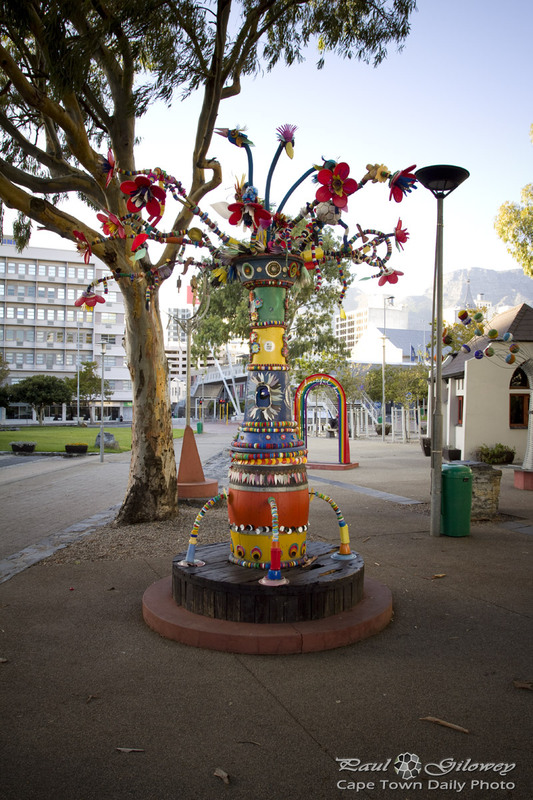 You'll find it outside of Prestwich Memorial, on the corner of Somerset and Buitengracht streets. Posted in General and tagged art, history, memorial on Monday, 11 March, 2013 by Paul.